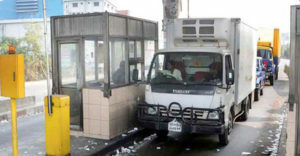 Bangladesh Dhaka corrspondent : The computerized toll collection system of Bangabandhu Bridge has broken down on Sunday morning. The authorities have kept the toll collection suspended from 10 am to 12 pm. As a result, a huge traffic gridlock has been created on both sides of the bridge. At one stage, the authorities started collecting tolls manually, said Engineer Tofazzol Hossain, caretaker of the site office of Bangabandhu Bridge.